For those of you following the changes within my Herald Column this year I wanted to "conclude" with the final cartoon. 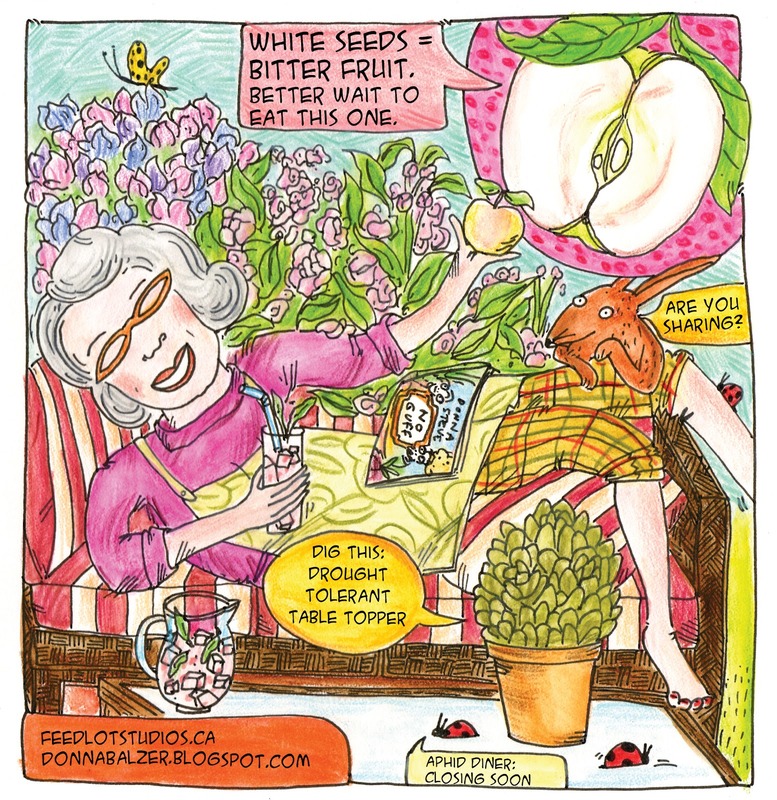 Last friday was the final gardening article for 2012 and this is the final cartoon that went with it. 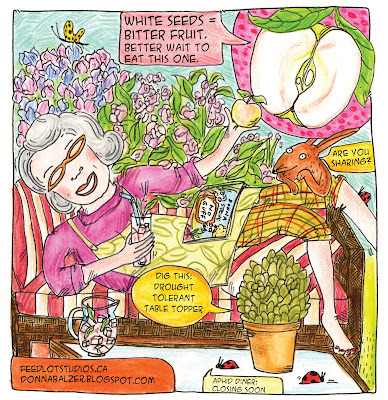 Thanks so much to Feedlot Studios and especially Mariko McCrae for illustrating my columns this summer. The cartoons were a trial to see if they would grab a different audience and or stimulate any new ideas. We are not sure if we will do it again but it was a lot of fun. If you have any ideas for the gardening column at the Calgary Herald don't be afraid to share! Check out the Calgary Herald archives for all my columns, past and present. I would like to make a suggestion for an article or blog post. There is a new documentary being made about seeds which you and your readers might find interesting.